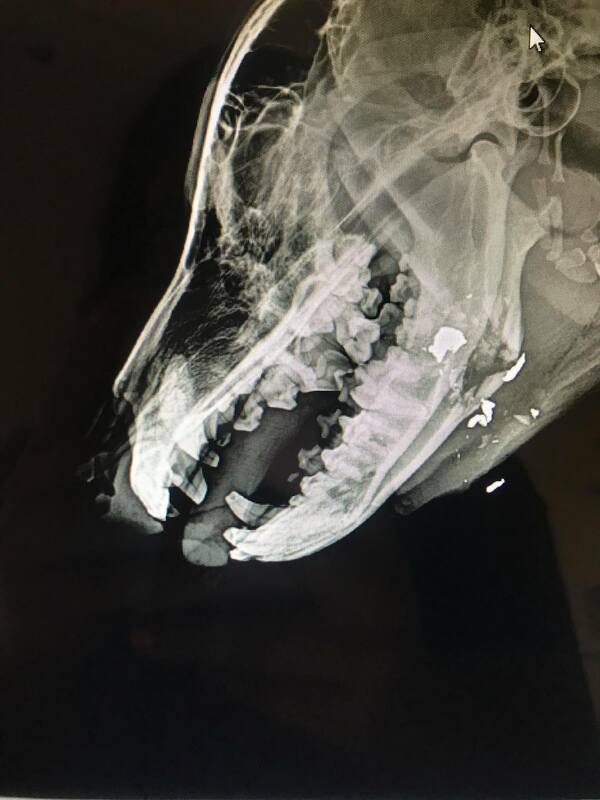 ST. GEORGE — A team of caring veterinarians and other helpful people have come to the rescue of a stray dog that was found Sunday with a gunshot to its face in rural Washington County. 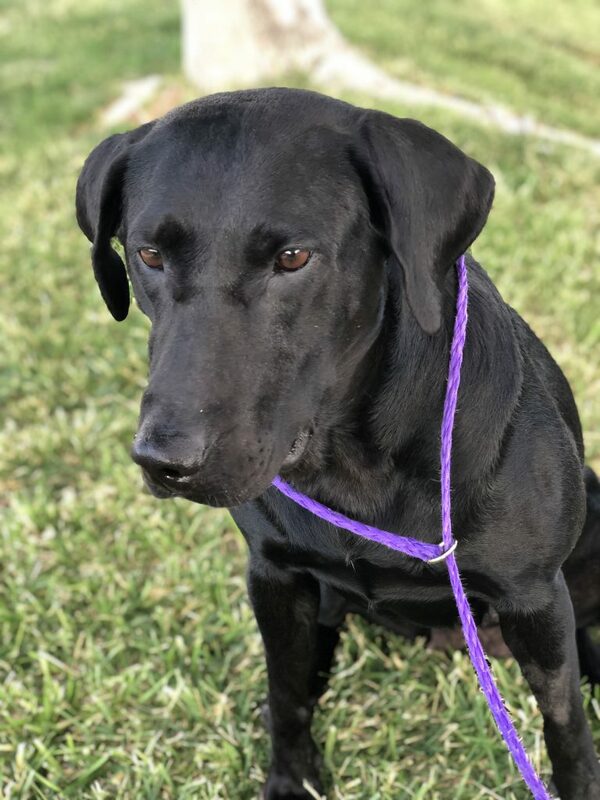 The approximately 2- to 3-year-old female black Labrador was found bleeding on the side of the road in Pintura and was brought to St. George by an unidentified Good Samaritan for treatment. The dog arrived at Southwest Animal Emergency clinic and was put on pain medication. An X-ray revealed that her lower jaw was fractured by a bullet. “My initial concern was to treat her. 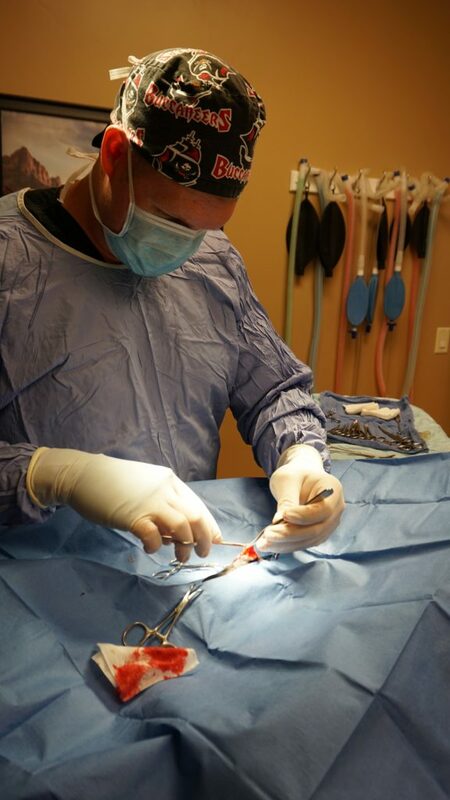 She was bleeding pretty good and in pain,” Amy Murdock, a veterinarian at the clinic, told St. George News. After treating the dog, Murdock called law enforcement for direction on how to handle the situation. Authorities said the dog could be brought to the shelter in LaVerkin, but Murdock said she wasn’t stable enough to be released from care. As of Friday evening, Washington County Sheriff’s Office could not be reached by St. George News for comment about how it typically deals with incidents involving stray animals. 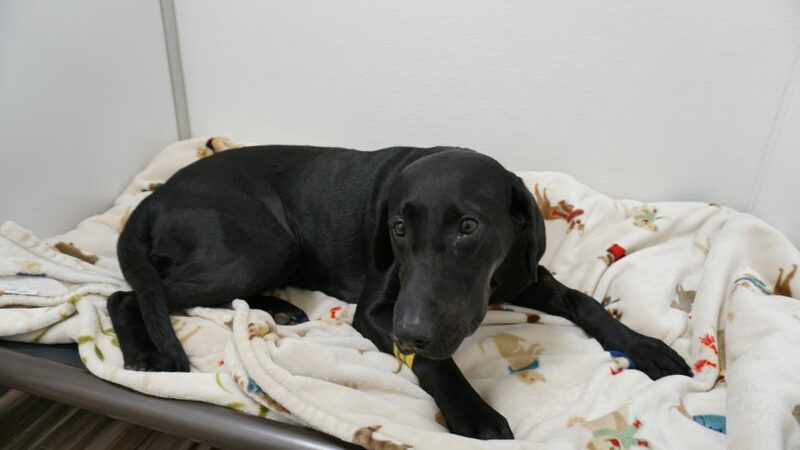 The dog has since been placed in the temporary care of Liana Cooper, an office manager at Southwest Animal Emergency. Cooper describes the lab as a “happy, good dog” that is well trained and has obviously had lots of interaction with people. The dog underwent surgery Thursday at Red Hills Animal Hospital in St. George in order to remove bone and bullet fragments from her jaw. 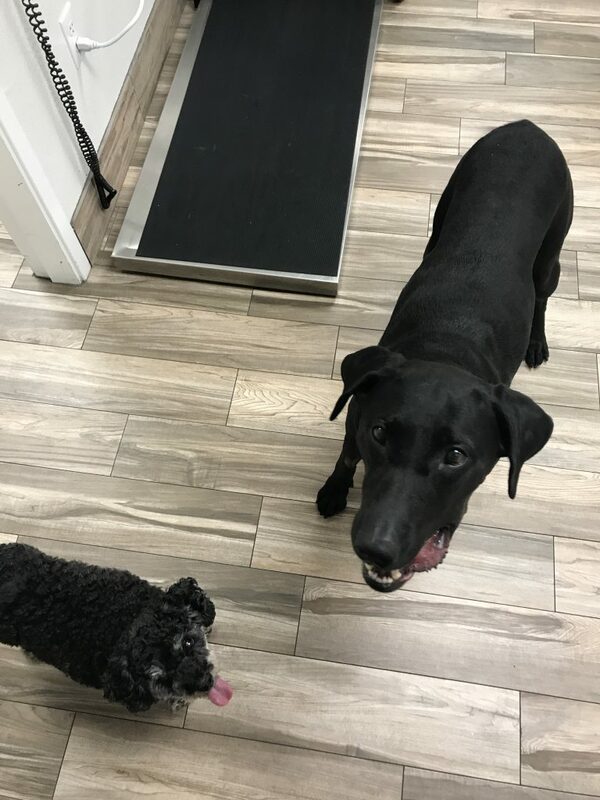 “Everything went really well,” Cooper said, noting that the dog isn’t having any complications as a result of the surgery and is able to eat soft food and drink water with little issue. Based on the bullet fragments recovered during surgery, Cooper said the dog was likely shot with a .22-caliber rifle. Cooper has been trying to locate the dog’s owner through social media and on-the-ground efforts, but so far, no one has claimed the dog. Murdock said the dog is lucky to have Cooper caring for her. 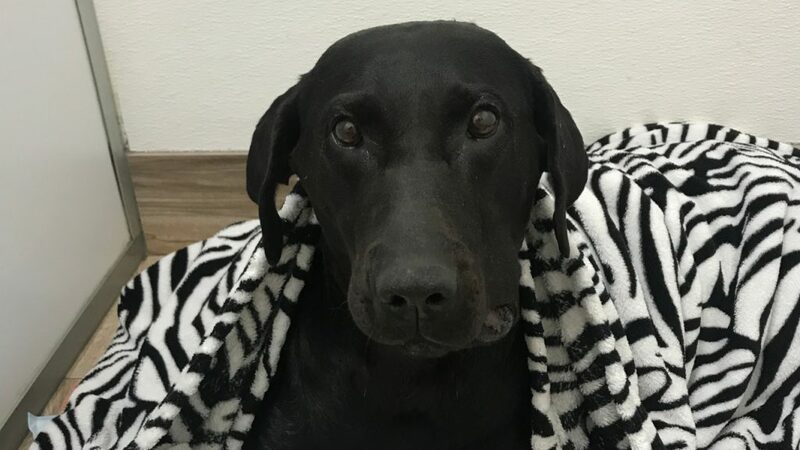 Cooper, who also works as a veterinary technician at Red Hills Animal Hospital, has paid for some of the dog’s care with assistance from a “Pet Samaritan” donation fund at Southwest Emergency Clinic and a GoFundMe drive. Between the two donation sources, about $900 was raised to cover the costs of surgery, but Cooper said additional donations to the GoFundMe drive would be helpful to pay for additional outstanding medical bills and follow-up care. 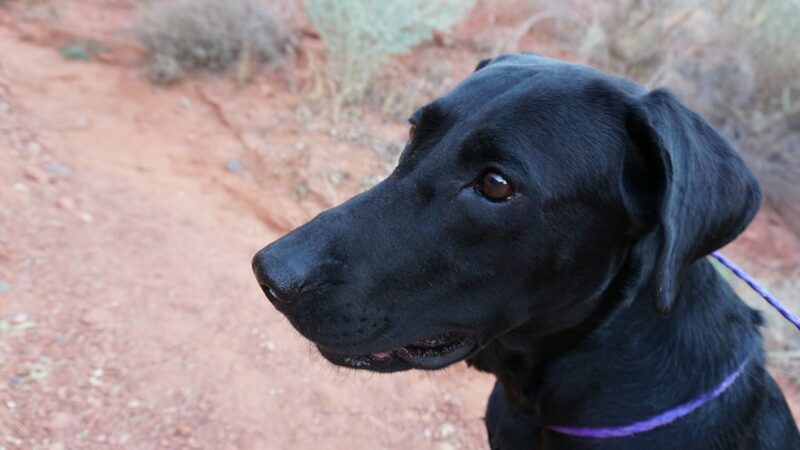 Anyone with information about the dog may call Liana Cooper at 435-256-7974. What on Earth compels someone to do something so vicious to a defenseless animal? There’s a reason that pup was found and is now being cared for. Those kind people will be showered with good karma. Whoever did it probably has a nice little campfire waiting for them in hell. Exactly. Karma. Here’s to whoever responsible getting into a horrible wreck or suffering a disfiguring disease. Law Enforcement’s unwillingness to investigate is pathetic. To whomever did this, you might think you got away with this, but God knows who you are, and you will pay dearly for your actions. Thanks to the Good Samaritan and Dr Murdock (SW Animal emergency for taking care of this pup. I hope it finds a good home and is never returned to whoever owned the dog and allowed this to happen. I would like to know more why the Sheriffs office or local law enforcement refused to “get involved”. Their job is to enforce the law. Animal cruelty is a violation of law so step up and do your job. The person who shot this beautiful lab should have the same done to them.